​The international break might be in full swing, but so is the never ending cycle of transfer rumours. From the very best sensationalist claims - including those few supposed 'ITK' Twitter accounts who have a masked football agent as their profile picture (seriously?) - to the ones actually borderline realistic, there is nothing more that football fans love more than basking in the fantasy land of transfers. So, with today being a new day, here's the latest round-up of some of the biggest transfer rumours from around the world. Compared to both Steven Gerrard and Andrea Pirlo, Nicolo Barella is seemingly on his way to ​Milan. The Cagliari midfielder was linked with a move to Maurizio Sarri's Chelsea in both the summer and winter transfer windows earlier this season, but is now on the verge of making the step up to a more established ​Serie A side. According to Sky Italia (via ​SempreMilan), the Rossoneri have begun negotiations over a potential move for the Italy international, but could face an intriguing battle with city rivals Inter for his signature. Not satisfied with having one inconsistent striker in their ranks in Cenk Tosun, reports now suggest ​Everton are considering making a move for Salomon 'leaps like a salmon' Rondon. The Venezuelan has admittedly done well in his time with ​Newcastle, netting nine goals in the league this year and, according to the ​Daily Star, has done enough to attract interest from the blue half of Merseyside. The report claims if Rafa Benitez leaves St James' Park this summer or is denied the £16m needed to make Rondon's loan move permanent, then the Toffees could well sneak in to pounce. Carlos Tevez 2.0? As per the ​Evening Standard, both City and United could be locked in another high-profile transfer war as they target Benfica's latest young prodigy, the oh-so brilliantly named Ronaldo Camara. A bit of Cristiano, and a bit of Henri. Destined for the top this one. The 16-year-old attacking midfielder is considered one of the most sought-after talents in European football, and has featured for Portugual's Under-17s side. The report adds ​City are the current frontrunners for Camara's signature, and are hopeful that the prospect of joining their much-vaunted academy and working under Pep Guardiola might just swing things in their favour. Linked with a move to Arsenal last season, and seen as one of the Bundesliga's brightest defensive prospects, Soyuncu's star has fallen somewhat dramatically. Since arriving in a £19m deal from Freiburg last August, the Turkish international has featured just three times for the Foxes in the ​Premier League, and will face added competition for a centre-back spot when Filip Benkovic returns from his loan spell at Celtic. According to the ​Leicester Mercury, Soyuncu has been given a potential escape route back to more familiar waters, with Fenerbahce keen on bringing the 22-year-old back to Turkey as a replacement for the out-of-contract Martin Skrtel. Despite sporting director Monchi leaving the Giallorossi to go back 'home' to Sevilla, Roma are still pressing on with their transfer plans for the summer. With ​Real Madrid agreeing a €50m deal to sign Porto's highly rated centre-back Eder Militao, Spanish publication ​AS claim Nacho Fernandez might be one of the victims of Los Blancos' summer overhaul. The Spaniard's contract expires in the summer of 2020, and despite being a Madrid youth product, an exit from the Santiago Bernabeu looks on the cards, with Roma the current frontrunners. ​Fulham went all in last summer with some big moves in the transfer window for their return to the top-flight, but unfortunately for the Cottagers, it has been a massive bust. Two managers sacked before the end of the season, and now, per ​The Guardian's Ed Aarons, Jean Seri looks set to lead an inevitable player exodus. The Ivorian's capture was seen as a real coup at the time, with ​Arsenal and Barcelona interested in the midfielder, but has struggled to replicate the form he displayed whilst at Nice. It now appears the 27-year-old might be on his way back to France, and with Fulham braced for relegation, Seri's departure might be the first of many. 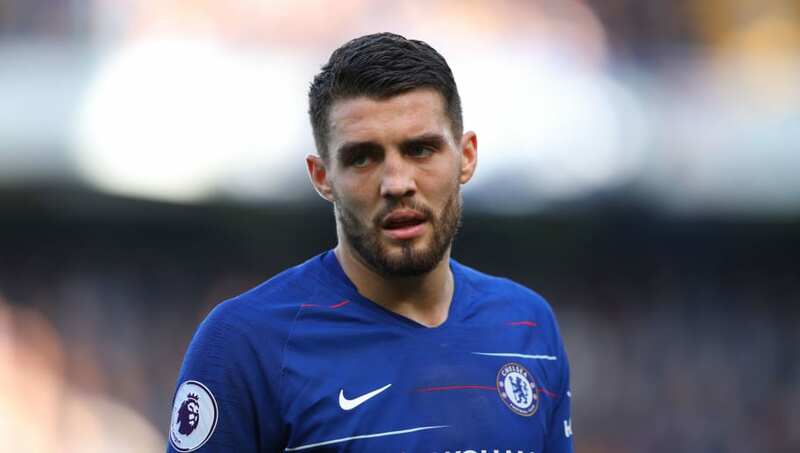 In one of the most inconsequential transfer moves of the entire season, just what on earth has Mateo Kovacic done at Stamford Bridge this season? Apart from being the perfect symbol of Maurizio Sarri's failed 'Sarri-ball' approach? Despite his struggles on the pitch, ​MARCA report that the Croatian is intent on making himself a hit in the Premier League, even if that means somewhere other than for the Blues. They add that he's been made to feel 'comfortable, happy and important' in England, and that several English sides have already registered their interest. In better news for ​Chelsea, Tuttosport (via ​Sport Witness) claim that Inter midfielder Matias Vecino has 'become a target' for the Blues, and at €30m, could be set for a reunion with a manager he previously played under at Empoli.